Multi-channel marketing is defined as implementing marketing efforts across a variety of communication channels both online and offline. In this sense, the “communication channel” could be a website, social media, retail store, direct mail, email, mobile apps, etc. Naturally, the objective of these efforts is the promote customer leading to improved engagement, acquisition, website traffic, event attendance, referrals, and of course increased revenue. A March 2014 Constant Contact survey administered to members of it’s Small Biz Council revealed that when it comes to marketing, the top priority of small businesses and nonprofit organizations is maximizing their marketing dollars. 59% of respondents ranked “making marketing dollars go further” number 1, followed by “selecting the best marketing campaigns to run” at 56%, “measuring the effectiveness of marketing campaigns” at 41%, “staying on top of the latest marketing trends” at 23%, and finally “being able to do all that bigger competitors are doing” at 21%. Why is multi-channel marketing important you might ask? A straightforward answer is, your customers are everywhere, and you need to be there too. 82% of small businesses and nonprofit organizations have implemented multi-channel marketing initiatives. The survey went on to identify specific gains related to the implementation of multi-channel marketing programs. 73% of small businesses and nonprofits reported increased customer engagement, followed by acquisition of new customers at 57%, website traffic at 54%, event attendance at 42%, revenue at 40% and referrals at 39%. These number are aligned with the notion that today’s consumers have a plethora of available channels guiding their purchasing choices. Branding and marketing firms must emphasize the importance of engaging both clients and potential clients across a variety of channels to maximize the effectiveness of any marketing effort. Have you created and maintained a single view of your customers across the various channels? 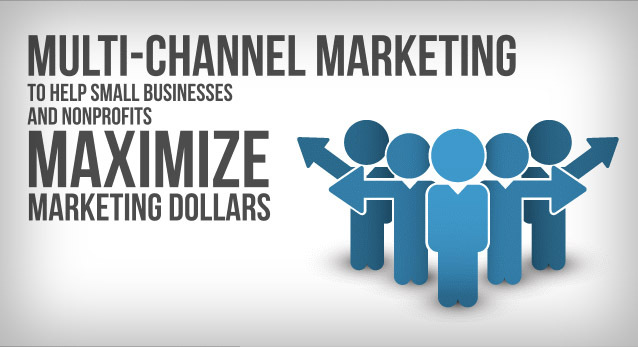 Have you established an effective multi-channel marketing platform. Have you created a consistent customer experience, including graphic and message continuity, across channels? What Does Your Web Design Say About Your Cleveland, Ohio Business?